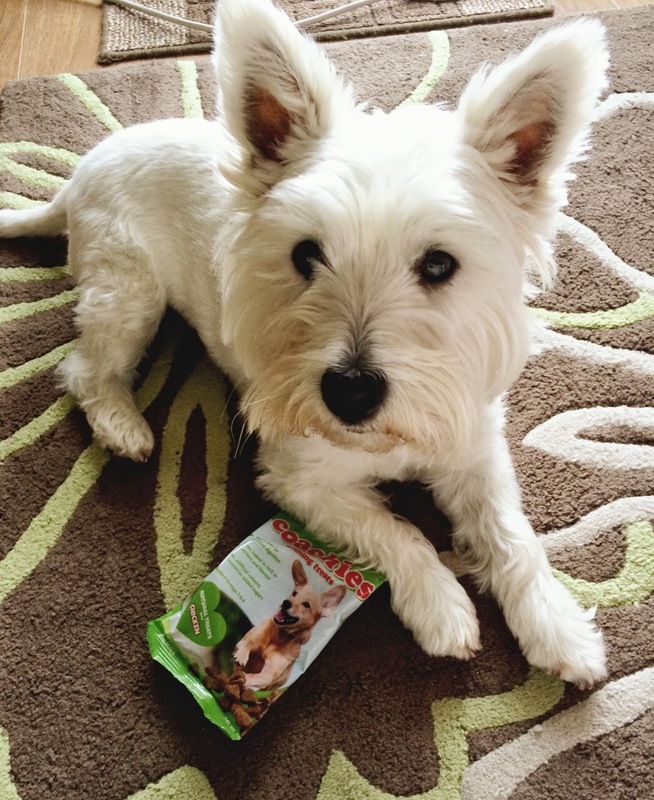 Tasty Tuesday | Low Calorie Tasty Treats For Your Dog Ideal For Clicker Training. Our household is a big believer in positive training. Clicker training is an essential for me and Lottie and we just wouldn't be the same without it! For our doggy friends who are not familiar with Clicker Training it is a positive reinforcement based system of training. The essential difference between clicker training and other reward-based training is that your dog is told exactly which behavior earned the reward. This information is taught with a distinct and unique sound, a click, which occurs at the same time as the desired behavior. Every time the click is heard a desired reward is given. This can be in the form of food or your dogs favourite toy. To provide the distinct click we use a doggy clicker, this is our favourite Clicker. 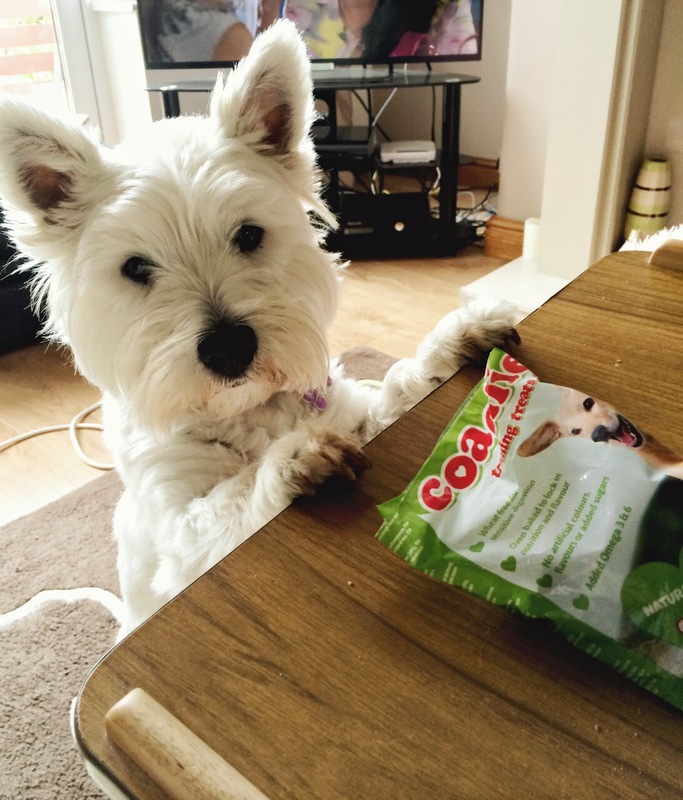 It does however come with one disadvantage, if your dog is a great toy lover and gets a buzz from suddenly getting their favourite toys after each click that is great. However for us, although Lottie does like her toys and loves a good game of fetch or a play with her squeaker. It just doesn't cut it for her for training. This means that once I click the clicker I need to give her a treat every time. Now our training sessions are short at around 10 -15 minutes. 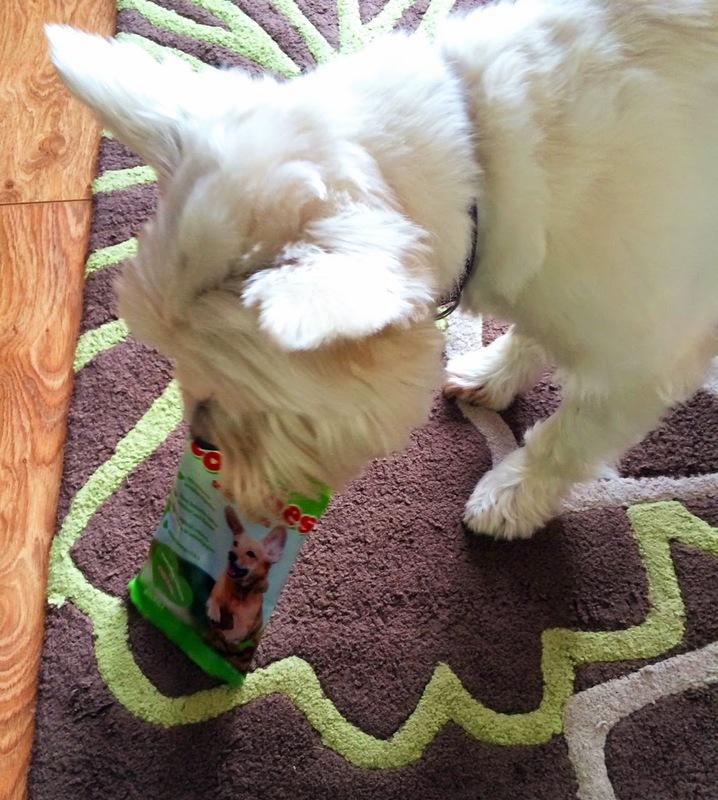 As you can imagine you could easily get through a lot of treats in that time! Because I want to teach Lottie useful tricks so she can help me around the house we normally do around 3 sessions a day! This is where Coachies come in. I basically came across this magic invention by accident. 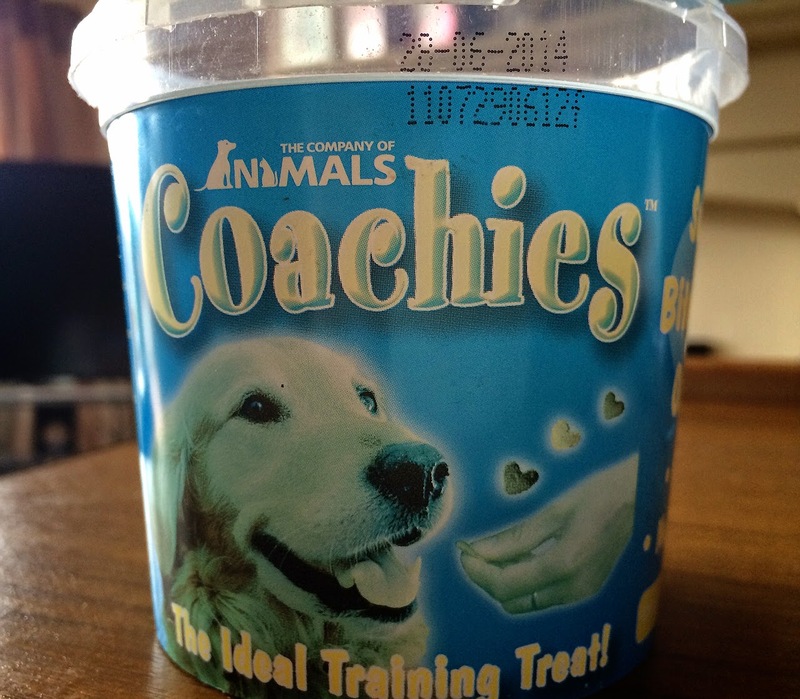 I was searching one of my favourite online pet stores and in the training section saw these Coachies treats. I decided to click the link to check them out as it promoted them as low fat! 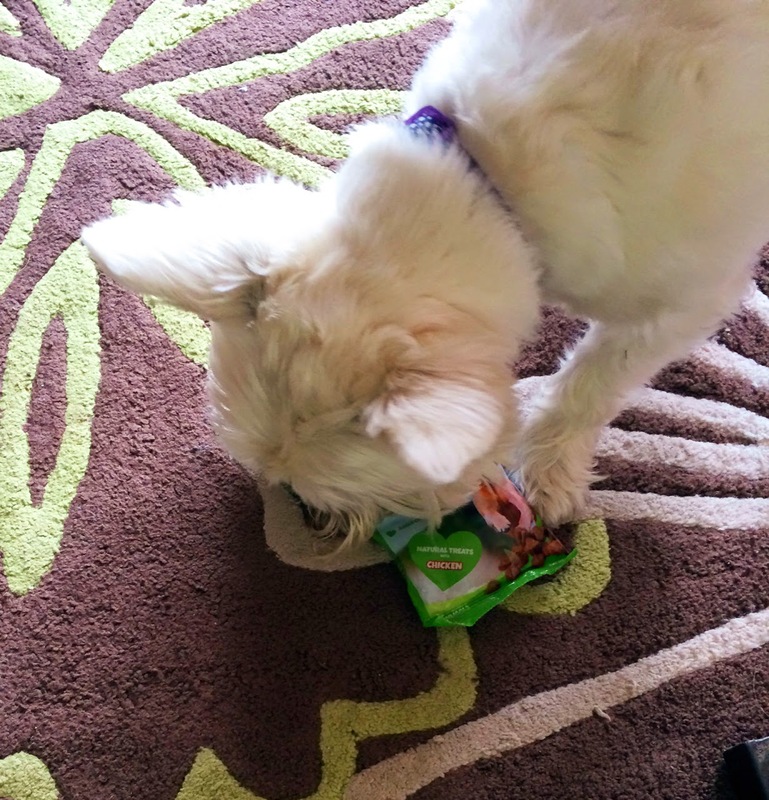 I was very wary at first as so many treats state this, when in fact they are no different than most others! 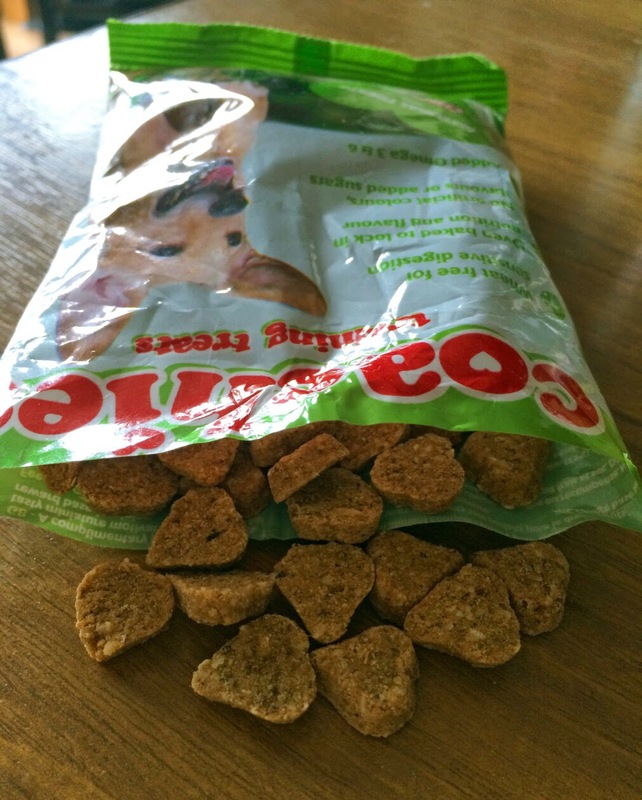 Coachies are a small heart shaped tasty treat which are highly palatable and do not break up in our treat bag. 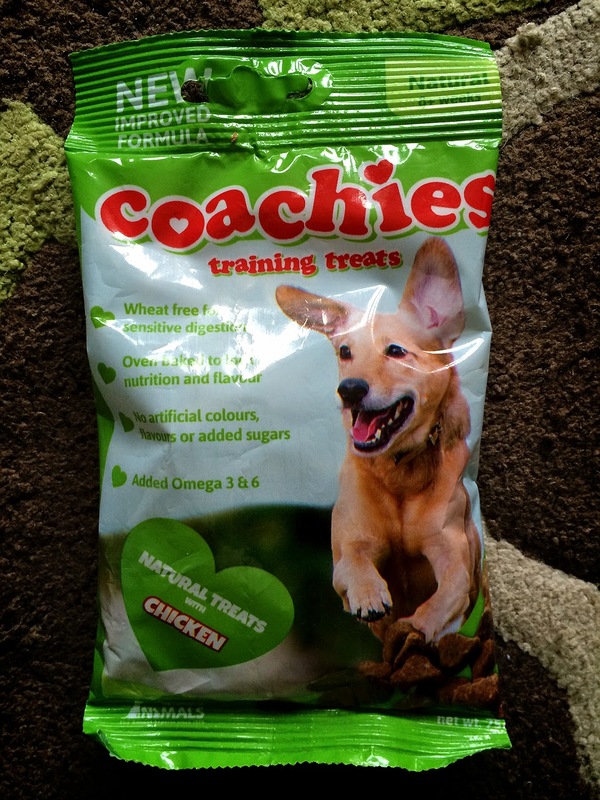 They are oven baked and have no artificial colours, flavours or added sugars which make them perfect for reward based training. 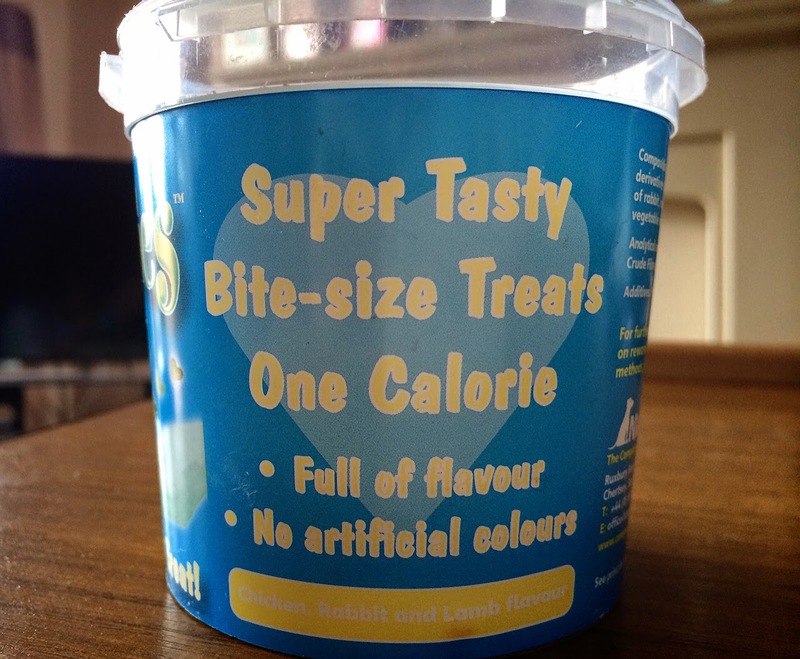 Even better they are only one calorie a treat! They come in three variety's adult, puppy and natural. Each variety comes in two sizes 75g or 200g. From our local Pets at Home store they are really affordable and a 200g is £4. I feel this is really fairly priced. A 200g bag lasts us at least a month! 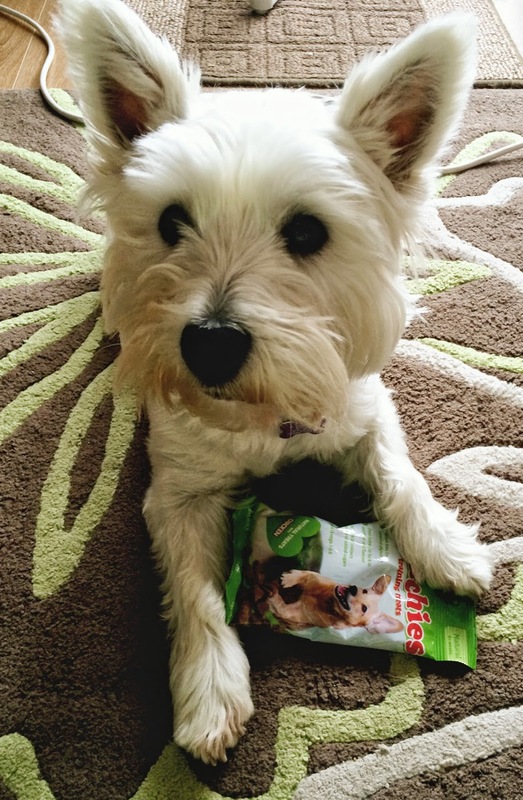 We use the natural variety as they are chicken which Lottie loves. Please mum may I have some more? You should all check these great treats out and be sure to let us know what you think? 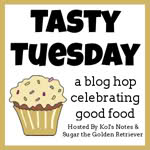 We're participating in the Tasty Tuesday Blog Hop kindly hosted by Sugar The Golden Retriever and Kol's Notes If you are looking for tasty ideas, take a look at what other dogs are baking and eating! Those look like some delish yum-yums! We begin by clicker training and treats, then ease off of both. But my fur babies always get plenty of yummy treats. :) What a fun post! I don't think we have those Coachies here in the US...at least Momma and I have never heard of them. They do look like the perfect training treats, though! Not familar with the brand, but Mom does get us small sized training treats.